Walker & Company, 9781406332254, 32pp. Bold, hilarious artwork captures the innocent charm of affable George, a dog who is trying to be good - with disastrous results. George is a dog with all the best intentions. And his owner, Harry, has all the best hopes that George will be a well-behaved dog when he leaves him alone for the day. But when George spies a delicious cake sitting on the kitchen table, his resolve starts to waver. You see, George loves cake. . . . Uh-oh. What to do now? It's so hard to be a good dog when there are cats to chase and flowers to dig up What ever will Harry say when he gets back? 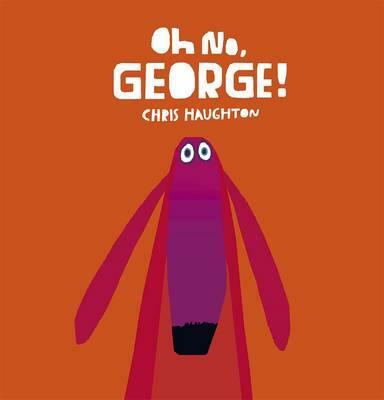 Chris Haughton's fetchingly funny story and vibrant, retro illustrations are sure to lure dog lovers of all ages - and anyone who has ever met a temptation too good to resist. Chris Haughton is the author-illustrator of "Little Owl Lost," his debut picture book, which won the 2011 Marion Vannett Ridgway Award. He has created and taught many courses in design and illustration around the world. In 2007, he was named one of "Time" magazine's DESIGN 100 for his work for Fair Trade and People Tree. Originally from Dublin, Ireland, Chris Haughton now lives and works as an author-illustrator and designer in London.